Are you feeling anxiety about becoming a new RV owner? Or about taking your first trip to the campground? If you are I really, truly get it. Because I was you. When I picked up our first RV I was incredibly nervous about towing it home. But I gained confidence by the minute and I felt pretty comfortable by the time I pulled into our driveway. By our second camping trip I felt like an old pro–and I know you will, too. Here are some quick and easy tips for gaining confidence as a new RV owner. They are not about the accessories you need, or safety and maintenance tips. These are tips about the camping decisions that you make during those first few months of RV ownership–when you might be feeling more overwhelmed than overjoyed. The greatest adventure of your life is just around the corner–and we want to help you get to the fun part faster. We did not record our first walk through for the pop up camper. That was a mistake. Luckily it was fairly simple to operate and we figured it out. Our second RV was a travel trailer and it was significantly more complicated. We recorded the walk through on my phone, and we referenced it again and again until we had all of the systems down pat. Should your first trip be to some epic location on your bucket list, or should you stay closer to home? We vote for close to home. There will be time for epic RV trips later. Now it’s time to gain confidence towing and learn how to operate your new rig. You also need to figure out what to pack and how to pack it. If you forget something or have a problem, you are on familiar turf and can get home fast. You may envision yourself in a state or national park, roughing it without hookups, and enjoying remote locations under the stars. But you probably don’t want to book one of those campgrounds for your first trip. Why not? Because a good private campground often has a helpful owner and staff onsite. State and NPS campgrounds are often woefully understaffed–and they are usually staffed by rangers that are not RV owners. If you have problems backing into a tight site at a private campground, someone will probably be right there to help. Sometimes, at those gorgeous and remote state and NPS campgrounds you are alone in more ways than one. Showing up at your first campground and discovering that you have been assigned a tight back in site can cause a whole lot of stress to the new RV owner. Eventually you will become a star at backing into tight spots. But if you are a newbie you have a whole list of other things to worry about on that first trip. So we recommend booking a pull through site for trip #1. What is a pull through site? It is a site situated in-between two roads. So no backing up is necessary. You pull in from one side of the site and then pull out onto the other side. Easy peasy. Setting up your rig and your campsite gets easier with each trip–and can actually become part of the fun. But it can be stressful at first. If you have younger kids we recommend dividing and conquering. Someone takes the kids to the playground while someone sets up camp. If you have older kids everyone should be helping and have preassigned jobs. We were lucky to find another newbie family to camp with by our second trip. We learned together. We shared meals together. We watched each other’s kids so we could go on rigorous hikes or moonlit kayak trips. It made entering the world of RVing and campground culture less intimidating. Each family empowered the other and we made great memories. Eight years later and we are still planning trips together. On our third or fourth trip I couldn’t get the furnace going–and the overnight temperatures were plunging into the 30’s. I fumbled around for an hour until a kindly older gentleman walked over and asked if he could help. He got the furnace cranking in less than ten minutes–and he taught me a trick or two. RV owners are mostly kind and helpful people. Don’t be afraid to ask for help. Did I mention that veteran RV owners are notoriously friendly and helpful people to the new RV owner? The only time that this is actually annoying is when you are backing into a challenging site and half of the campground either pulls up a chair and cracks open a beer or runs up to you and your spouse offering “help.” This only served to get me more flustered back in my rookie days. We needed to figure out our own process for backing up the rig together–and so does every new RV owner. Kindly explain that you really want to learn on your own–even if it takes a few hundred tries! I know this one is hard. But if you can do all of your towing during the daylight hours–then do it. If you break down at night it can be really hard to find help. Even if you have roadside assistance, most garages and RV dealers are going to be closed. If you need parts you may be out of luck until morning. A Friday night breakdown could end up blowing a hole right into the heart of your quick weekend trip. This may be the most important piece of advice I have for a new RV owner. We often become depressed and outraged when things break in our brand new rigs. Some people (like me) even let it ruin a few trips. I remember spending hours being outraged over a broken stereo–while we were camping at a gorgeous spot just a few feet away from the beach. What a waste of precious vacation time. Things are going to break on just about every new RV. Unless it is something absolutely egregious–let it go. Go play catch with your kids. Go light the campfire. You can bring the rig back to the dealer later. You’ll never get that wasted vacation time back again. You will need to bring your RV back for some warranty service. Stuff happens no matter what brand you buy. I recommend batching the warranty work and bringing the rig in at the end of the season if possible. Multiple trips back and forth to the dealer can really put a damper on your camping season. Be willing to camp with a few things broken and get them fixed all at once. I once spent a month with a broken kitchen sink–because I wanted to be camping instead of having my camper stuck at the dealer. I didn’t regret that decision one bit. 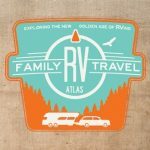 RV forums and Facebook groups are incredible sources of support and information for new RV owners. Join a few of them and don’t be afraid to ask questions. Podcasts are another way to learn travel tips and tricks, and even about the latest gear. And get ready for the greatest adventure of your life.